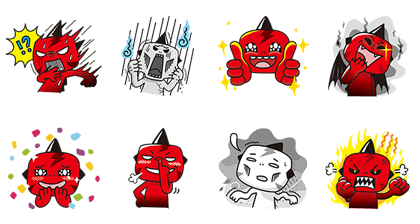 http://www.line-stickers.com/ – HITO B.P Collaboration: Jazz & Nango × BearJoke × TSAI DYNASTY x Ha Ou Ni × Nobody’s Daily Line Sticker | Hello! The brand mascot of HITO B.P., “Ha Ou Ni” has officially arrived! Get up with Ha Ou Ni ! 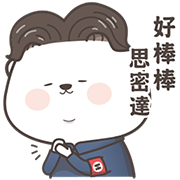 Letʹs win the red envelopes and have a great new year. Friend HITO B.Pʹs official account to get the set. HITO B.P x Jazz&Nango stickers are here! 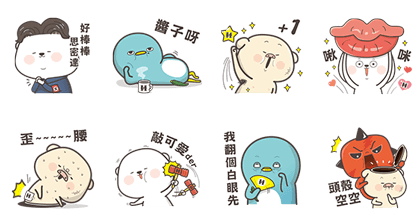 Friend HlTO’s ofﬁcial account to get these cute stickers! HITO B.P. 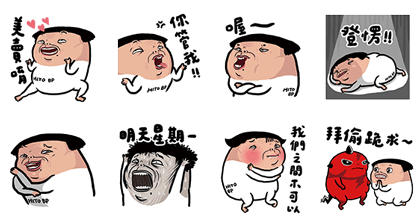 has teamed up with the hilarious BearJoke to bring you these stickers! Friend HITO B.P.’s official account to get this set. 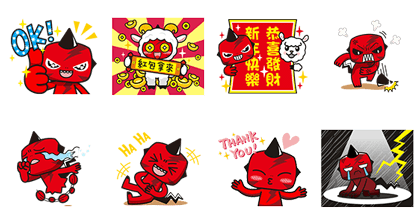 HITO BP has teamed up with TSAI DYNASTY to bring you these epic stickers! Friend HITO BP’s official account to get them for FREE! HITO BP with Nobody’s Daily. Lots of hilarious action to keep the conversation going! Friend HITO B.P.’s official account to get the set for free. Available till June 9, 2016.